As IOT surges forward, businesses are continually assessing how this will impact them. Companies within the framework also face the continued battle of updating, planning, expansion and trying to keep ahead of data demands. Long gestation periods taken up by planning, construction and commissioning heightens risk while competition drives efficiencies. It’s a battle to lower cost per port and to maximize real estate, all without compromising service delivery or performance. 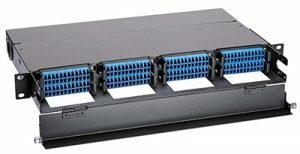 It is into this dynamic Data Center, SAN and Lan environment that Molex has released its next generation of its Xtreme Density Optical Fiber Solution.